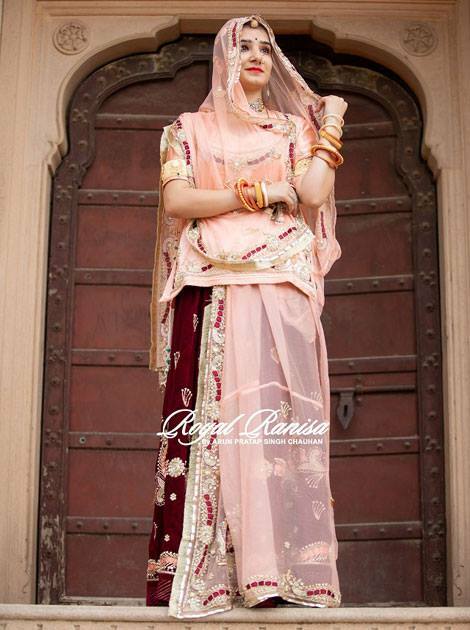 Royal Ranisa offers you unique designs every time you visit the store. 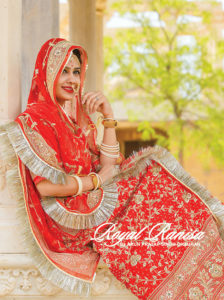 We have a huge collection of Red Bridal Rajputi Poshak with various designs. 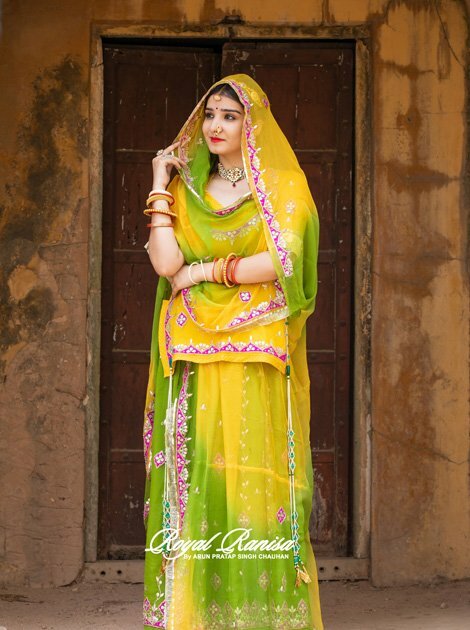 The work on the Poshak is handcrafted by our designers who are the pioneer in the fashion industry. We all love the color Red. It is associated with meanings of love, passion, and desire. The color red is a highly visible color that is able to focus attention quickly. 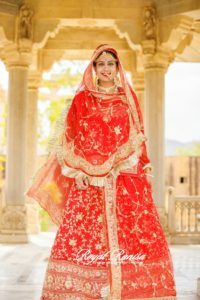 Every girl dream of wearing Red bridal Rajputi Poshak on her wedding day. 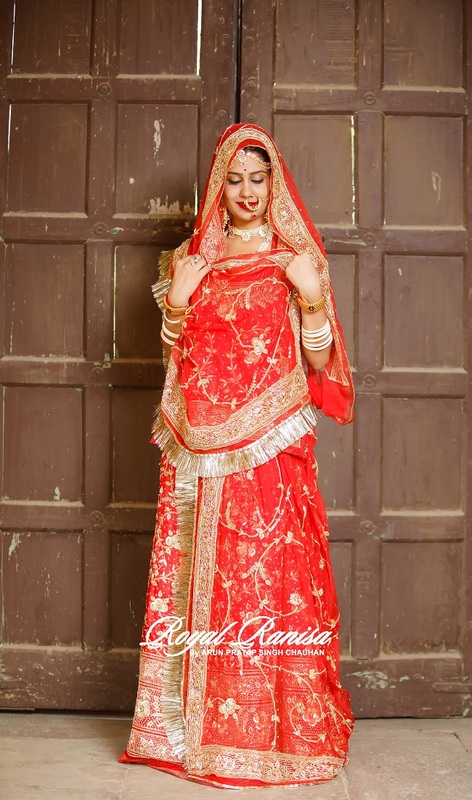 The intense red color Rajputi Poshak is packed with emotions and bring out the best in a bride. 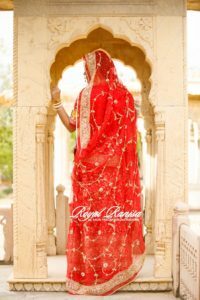 The work on bridal Rajputi Poshak is done keeping in the importance of a wedding day for women. 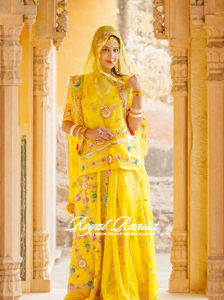 Our designers do it with love and delicacy. The red bridal Rajputi Poshak itself is complete with its ever so beautiful Red color. 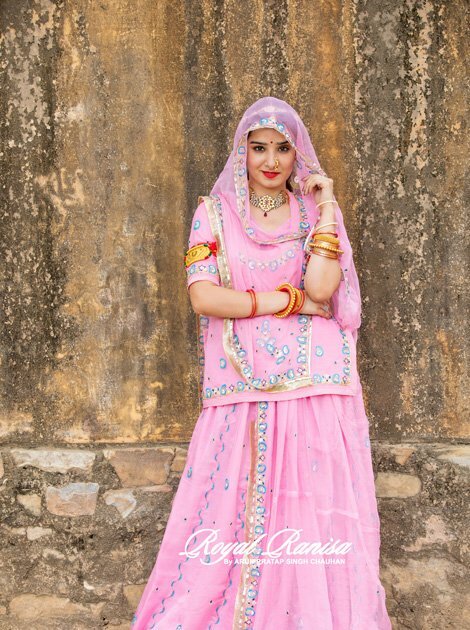 The Odhani, Kurti, and Lehnga of Rajputi Poshak are made of pure satin fabric and Aari Tari work. 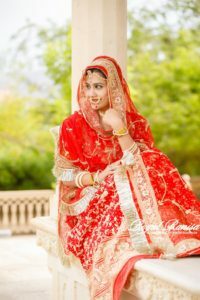 It is given bridal look with its heavy Jaal work. Red represents power and courage. So any bride in this Red bridal Rajputi Poshak will feel confident and walk down the aisle with pride and love.